Our family loves to be outside and with living in Cumberland Valley, we are so fortunate to be close to the Appalachian Trail (AT). The first time we exposed our girls to the AT it was a beautiful moment. We had taken them on walks, but hiking out in the woods along the trail awakened all of their senses. One of our favorite AT spots are the miles of AT that intersect through Boiling Springs. There are so many different experiences – hiking along the creek, dipping our toes in the cool water, finding fish and watching fly fisherman pull in a catch, feeding the ducks at Children’s Lake, spotting remnants of oar from when the iron oar industry was in full swing, grabbing an ice cream at Caffe 101, seeing AT thru-hikers and explaining how they are hiking 1000s of miles, identifying birds and insects, visiting the friendly staff at the AT conservancy and connecting with our kids on an iconic trail. Since I was a little kid, I’ve always loved exploring everything on the island that separates Wormleysburg and Harrisburg. City Island, located on the Susquehanna River has convenient parking, a mini-golf course, batting cages, horse-drawn carriages, volleyball courts, bike and kayak rentals from Susquehanna Outfitters and of course, beautiful views of the river and city skyline. 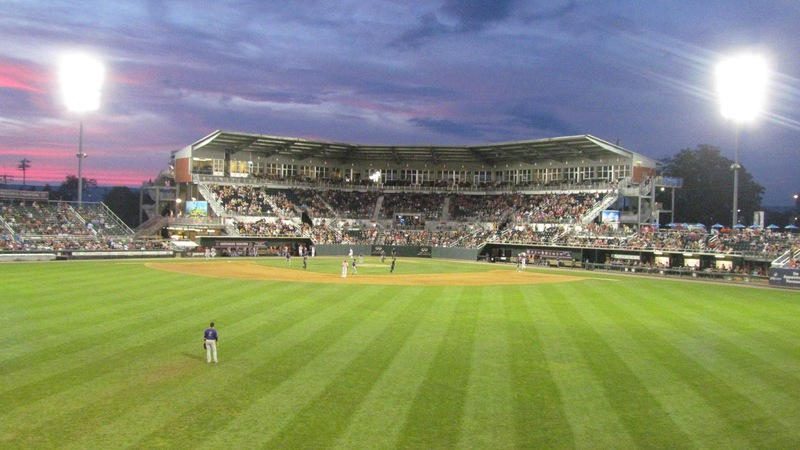 The island is also home to the Harrisburg Senators, the Double-A affiliate of the Washington Nationals the baseball team. You can grab a bite to eat before or after your City Island trip at one of the waterfront restaurants in Wormleysburg, each with a deck and views of the river. Read more about the complete City Island experience here. Colonel Denning State Park on the northwest side of the Cumberland Valley is the perfect place for a summer picnic and swimming at the beach. 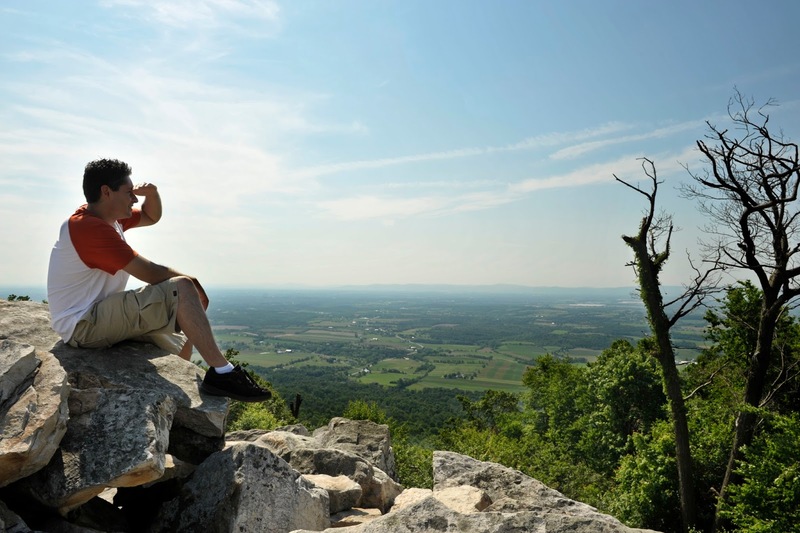 It is also the spot where you can make the somewhat tough but memorable climb to Flat Rock – where you get one of the best vistas of the Cumberland Valley’s expansive land mass and beauty. I like to use Col Denning as the entry point to the Tuscarora Trail – a 250 mile loop alternative to the famous Appalachian Trail – 110 miles of which is in PA. Just follow the blue blazes for a beautiful hike along the ridge tops and you can get more views. The Keystone Trails Association is promoting a 100 mile Challenge Hike – I challenge you to make it happen on the Tuscarora. There are so many things I enjoy about Kings Gap that I don’t even know where to start. 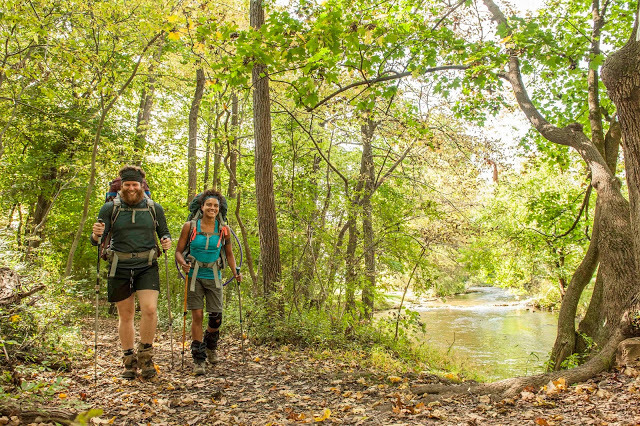 It is the largest of Cumberland Valley’s three state parks and offers 17 different trails that range in length and difficulty. My recent favorites are Rock Scree Trail and the Maple Hollow Trail, but any trail you choose will provide beautiful forest views and, oftentimes, commanding views of Cumberland Valley. 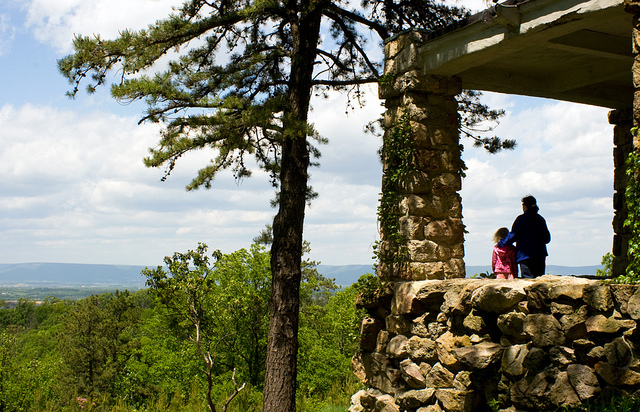 If you are not in the mood for hiking, drive up to the top of the mountain and enjoy beautiful views from the back porch of the Mansion. Then, walk over to the garden to see and learn about a variety of different native plant species. Two recent additions that I want to add to my to-do list for this summer – the recently-installed butterfly garden behind the Education Center and to bike up part of the four-mile road leading up the Mansion. If you visit, be sure to pack a picnic basket and stop at many of the picnic tables located along the side of the road up the Mansion. They offer a peaceful setting for you to enjoy your lunch or dinner. But perhaps the best of any trip to Kings Gap is stopping for ice cream at the Kings Gap General Store located across the street from the entrance to the park. It’s a great way to reward yourself after a long hike. One of my favorite outdoor spots in Cumberland Valley is the Mount Holly Marsh Preserve. Before I went the first time I was a little overwhelmed by the idea of hiking something that takes up over 900 acres, but I soon realized the preserve has been very well-maintained and marked for those to enjoy. There’s a convenient parking lot with brochures you can grab to help understand the trails. 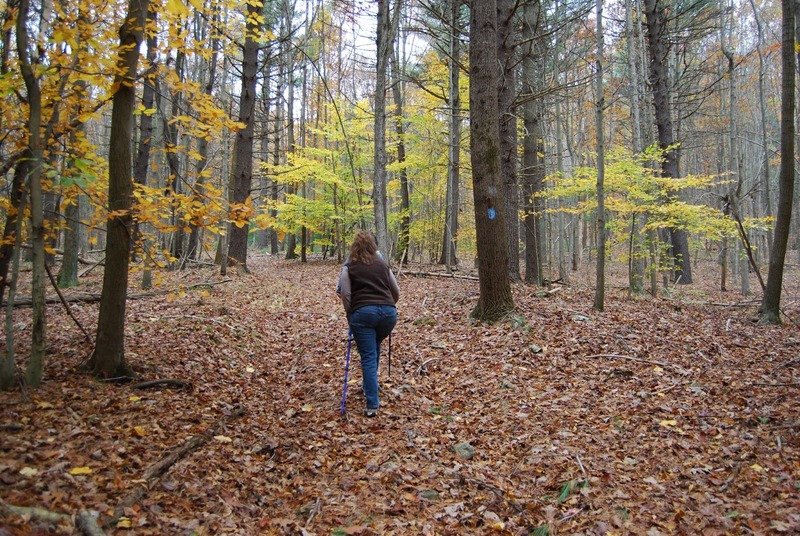 Once you pick what color trail you’d like to take on, it’s simple to follow the trees with the color markings. I really enjoyed how quiet the preserve was and the varying scenery from open views along the creek to big patches of ferns through the woods. A few of the trails have quite steep inclines so you can really get a workout if that’s what you’re looking for! Others, like the 2.2 mile Marsh Loop Trail, are a nice, easy out and back trail. This is also a great spot to see a variety of foliage and wildlife, especially birds. Read more about my first hike at the preserve here. One of my favorite go-to spots in the summer is the hidden gem of Opossum Lake outside of Carlisle. I really enjoy hiking the 4-mile, easy to moderate trail along the scenic 59-acre lake. Besides hiking, the lake is also suitable for fishing (bass, bluegills, muskellunge, crappie and trout), kayaking, picnicking and wildlife education. There are signs along the trail pointing out different areas of interest, including a beaver habitat, hardwood forest, prairie and wetlands. Trail maps located at kiosks around the trail give you a guide for identifying fish, animals and plants commonly found along the trail. A small portion of the trail and one of the fishing docks is handicapped accessible, ensuring everyone can enjoy the lake. If you go, be sure to take along sturdy sneakers or hiking shoes, a bottle of water and bug spray! Not long ago I took my family to Waggoners Gap Hawk Watch, located 10 miles north of downtown Carlisle, Pennsylvania on Route 74 on the Cumberland/Perry County line atop the Kittatinny Ridge and open Dawn to Dusk. This premier bird migration viewing site has been owned and operated by Audubon Pennsylvania since 2001. This site offers nature lovers along with bird enthusiasts a spectacular view of the Cumberland Valley while learning and experiencing more about the winged wildlife that passes through our region. As my three children enjoyed the simple walk to the outlook they asked about the types of birds they might see. They cautiously climbed the rocks for a moment of “official” bird watching, but requested to more on after about 15 minutes. The true kid highlight of the day seemed to be the educational amphitheater. As the kids relaxed and took in a quick snack, I answered questions about the view, the Cumberland Valley and “when did they do classes in the amphitheater and can we come to the next one?” Oh what kids don’t think of doing. When planning for next time, I’ll try to visit in and around the third and fourth week in September when the broad-winged hawks generally peak in Pennsylvania. The extra activity may keep younger interests peaked a bit longer and the experience more entertaining, which is what it’s truly all about.